RIM has announced a series of updates as it draws closer to the launch of its eagerly awaited BlackBerry 10 devices on January 30. 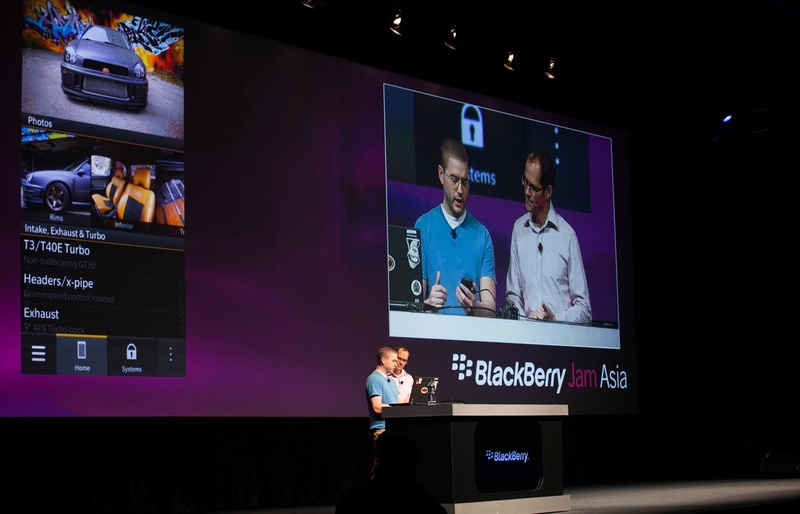 Speaking at the BB Jam event in Bangkok this morning, a series of company executives — including VP of developer relations Alec Saunders — demoed upcoming apps, announced the renaming of BlackBerry App World and plans for a Qwerty alpha device for developers. RIM is maintaining its core focus on the Qwerty style devices that it made its name through, after the company announced plans to introduce an Alpha C device for developers that will sport a physical keyboard. CEO Thorstein Heins previously said Qwerty fans may have to wait up to two months after the first BlackBerry device hits the market for one with a keyboard and, to kick things off, developers are being invited to sign-up for the chance to get a C device to help build content for them. 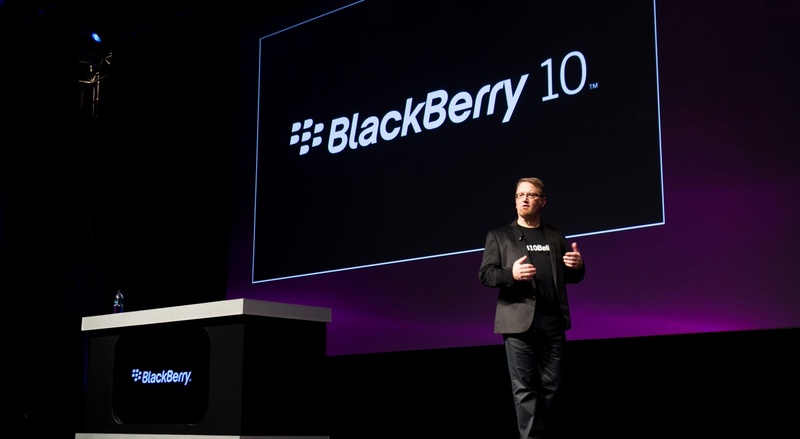 Saunders told the audience that priority will be given to developers with two approved BlackBerry 10 apps already, particularly those that are ‘Built for BB10’ endorsed. An initiative to reward existing BlackBerry 10 alpha device owners with a limited edition BlackBerry 10 device has also been revealed. Developers that submit more than 10 apps before January 21 will qualify. The Canadian firm has officially engaged in one key final push for apps after its ‘Built for BlackBerry’ initiative opened its doors. The program is aimed at certifying the top apps for BlackBerry 10 to help developers and their creations compete for attention among users. 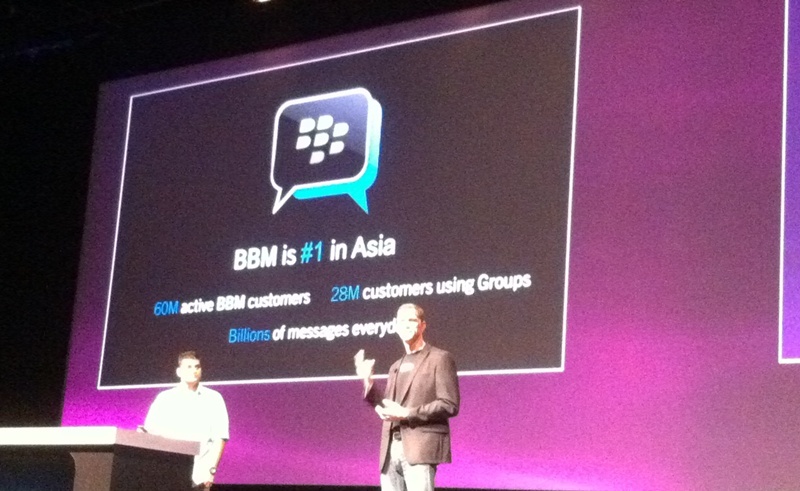 As expected, RIM spent plenty of time showing the crowd, of mainly developers, how apps in the BlackBerry 10 platform will work. In addition to the central ‘Hub’, a live TV app from Thai broadcaster Kantana and Fox Sports’ slick app where demoed on stage. RIM says it is announcing close to 100 local partners across a range of Asian countries — including China’s Baidu, Sina Weibo, and Tencent, MTV India, Air Asia and others — and it is confident that the new content will prove popular in the region, which retains a strong loyalty to the BlackBerry brand. Indeed, RIM stressed its presence in the market when it called BBM — its proprietary message app — the largest of its kinda in Asia, by virtue of its 60 million active users ‘billions’ of messages that are sent daily there. RIM also announced a symbolic renaming of BlackBerry App World to BlackBerry World, explaining that the move comes in response to the expansion of content there, which will include music, movies and multimedia. That’s not unlike Google’s decision to rename Android Market to Google Play. Saunders, in particular, discussed the advantages of BlackBerry over iOS, Android and other platforms, citing VisionMobile research that said developers earn 4 percent more with RIM. It continues to push its ‘Port-a-thon’ events — meetups where developers can port and code iOS and Android apps for BlackBerry 10 — and it has arranged a series of events across Asia Pacific. Saunders admits that BlackBerry’s developer relations had been deteriorating when he joined just over a year ago. Over the last six months, he claims, things have improved to the point that 65 percent of developers are satisfied and 57 percent would recommend others to develop for the platform. RIM is showing off its ‘BlackBerry 10 in 10’ program that lets developers create and publish HTML5 apps, such as a basic blog RSS feed app, in just ten minutes. The next major marker is for December 11 when the ‘Gold’ SDK will be finalised, giving developers six weeks to finalised their apps ahead of the launch event. Apologies that these photos are little blured, we’ll be updating them with better quality images shortly. Updated with photos from RIM.